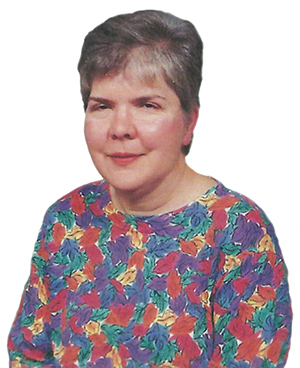 Barb Ebel has been described by many as quiet and unassuming. She started her career as a teacher in the Cincinnati Public School system at Shields School in Corryville. She later went on to design circuit boards for AT&T but never lost her passion for education—it was very important to her. For 11 years, Barb was a weekly, “family” volunteer at Crayons to Computers. She worked in the store on Thursday afternoons and according to fellow volunteer, Martha Ewalt, “she was very dedicated to Crayons. She really believed in the mission.” Barb had an adventurous spirit and traveled the world. She loved her church, her community and had a lifelong passion for helping others. Barb passed away in August of 2015 but prior to that, she established her legacy by naming Crayons to Computers to receive a gift through her will. Her enthusiasm for education and caring for students in need will live on enabling Crayons to continue working to level the playing field in the classroom by providing students in need the tools to succeed in school. Would you consider including Crayons to receive a gift in your will? Just as Barb’s will said a lot about her, your will can do the same. For more information about how to plan a gift in your will the next time you update your documents, please complete and return this form or call Betsy Wilson, Director of Development at 513-482-3290, or bwilson@crayons2computers.org. If you have already included such a provision in your will, we’d be grateful for the opportunity to thank and recognize you. Please let Betsy know at bwilson@crayons2computers.org. Legal Name: Crayons to Computers, Inc. Status: Crayons to Computers is a 501(c)(3) nonprofit organization under the Internal Revenue Code. **To discuss restricting your gift, please contact Betsy Wilson at 513-482-3290.